The 2018 RallyX Nordic entry list has today (23 April) been officially unveiled, with almost 40 sign-ups across the headlining Supercar and Supercar Lites classes pointing to a spectacular season ahead. 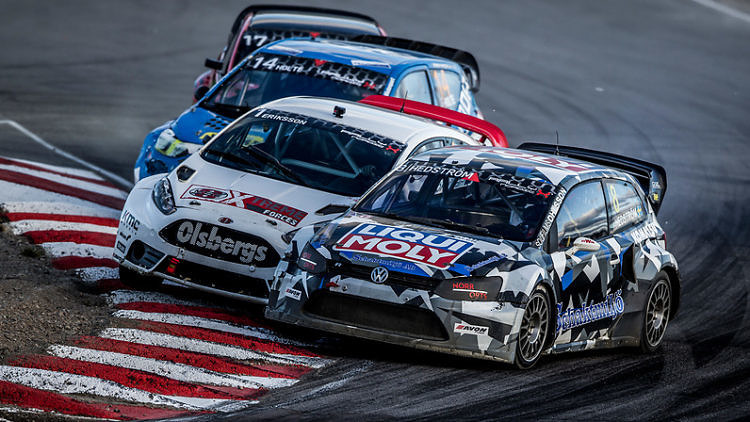 With primetime television coverage and more track time than ever before, interest in the revitalised RallyX Nordic has been sky-high – as evidenced by 18 Supercar entries and 21 in the supporting Supercar Lites category. Reigning Supercar Champion Thomas Bryntesson is back to defend his hard-fought title, but the JC Raceteknik ace will face stiff opposition from last season’s runner-up Oliver Solberg and the latter’s namesake Oliver Eriksson, who emerged on top in the fiercely-contested recent RallyX on Ice series. Another name certainly not to be discounted is Philip Gehrman, who will dovetail his challenge with an assault on the FIA European Rallycross Championship this year in an Eklund Motorsport-prepared Volkswagen Beetle. At Supercar Lites level, William Nilsson will similarly look to retain his Drivers’ crown, while compatriot Simon Olofsson is eager to exact revenge after narrowly missing out on the laurels in the 2017 Strängnäs finale. Fellow Scandinavians Sondre Evjen – a consistent front-runner in the RX2 International Series and RallyX on Ice – Ben-Philip Gundersen, Simon Syversen and Glenn Haug are all likely to have their say, while two of last year’s standout rallycross rookies in the shape of Belgium’s Guillaume De Ridder and Latvia’s Vasiliy Gryazin are hotly-tipped to spring a surprise. Although the season entry list has now been published, due to the late confirmation of the series’ regulations and TV package following a busy winter of work behind-the-scenes to revitalise the RallyX Nordic offering, late entries will still be accepted. “We are delighted to be able to confirm such a healthy-looking field for RallyX Nordic’s 2018 campaign,” acknowledged Series Manager, Ian Davies. “The calibre of the names that have signed up speaks for itself and augurs well indeed for an exciting and closely-fought season ahead.